Jamaica Conference began in 1944 under the leadership of Jimmy O’Sullivan, a native of Jamaica who had been living and studying in the United States. 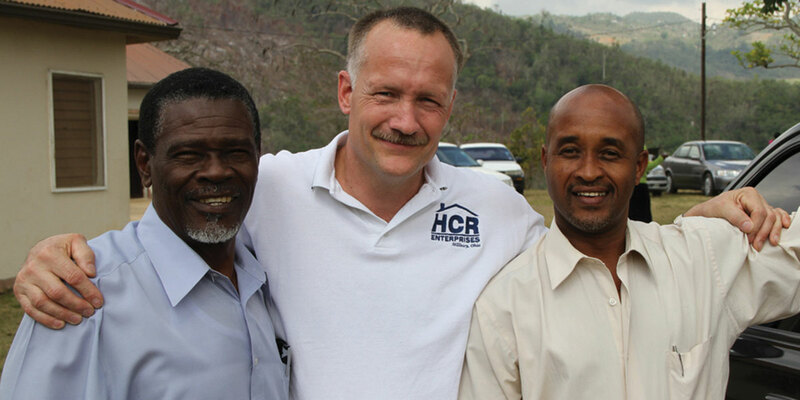 He began working in Jamaica under the auspices of Global Ministries. The conference was formally organized in 1951 with 11 churches. Today, Jamaica is well on its way to developing a missions vision among its nearly 30 churches. The conference assists a number of national ministries that provide assistance to unwed mothers and at-risk youth. In addition, the conference has been gathering funds for missions–a total of over $10,000 in 2010, including relief funds for earthquake victims in Haiti. Next they would like not only to support missions, but also to send one of their own. The highest elected leader is the bishop. Isaac Nugent was elected to that position in 2012. The churches are divided into three districts, with the national office located in Kingston, Jamaica. The conference also operates a camp/retreat center in Malvern. The Jamaican churches have been under national leadership throughout their history with the exception of 1964-1968, when missionary Jerry Datema served there as conference superintendent. 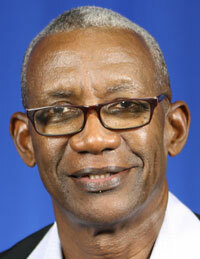 Isaac Nugent was elected bishop of Jamaica Conference in 2012. Jamaica is the third-largest island in the Caribbean (after Cuba and Espanola). Still, it is smaller than Connecticut. Jimmy O’Sullivan and his wife. The United Brethren work in Jamaica began almost by accident. In 1944, the United Brethren Church wanted to open mission work somewhere in the Caribbean. One possibility was the Bahamas, where they had been offered the chance to take over an existing mission started by a United Brethren couple from Pennsylvania. Three men were commissioned to travel to the Bahamas to investigate what was being offered. One of them was Rev. James O’Sullivan, a native of Jamaica who had graduated from Huntington College and was then pastoring a church outside of Huntington, Ind. O’Sullivan began to preach, holding services in a community hall in Golden Spring, and realized that the opportunities in Jamaica were as great as they would be in the Bahamas. So he decided to stay there. In 1946, the first church building was constructed. A conference of 11 churches was officially organized in 1951. By the time O’Sullivan retired from the UB work in 1964, a strong conference had arisen with capable leaders. Then, finally, he made it to the Bahamas. For three years O’Sullivan worked alongside Rev. and Mrs. Paul Ford in the Bahamas. He then moved back to the States, spending his latter years in Florida. O’Sullivan passed away at age 84 on October 6, 2001. 2.8 million people live on the island. In addition, an estimated 2.5 million Jamaicans live abroad, especially in Great Britain, the United States, and Canada. Jamaica is an island in the West Indies, 90 miles south of Cuba and 100 miles west of Haiti. It is a little smaller than the state of Connecticut. The island is made up of coastal lowlands, a limestone plateau, and a group of volcanic hills in the east called the Blue Mountains. Nearly 200 villages of Arawak Indians populated Jamaica in 1494 when Columbus explored the island and claimed it for Spain. The Arawaks had named the island Xaymaca. The Indians were almost completely destroyed by disease, so slaves were brought to Jamaica to work on sugar plantations. Jamaica remained under Spanish rule until 1655, when the British seized control. During the next 200 years, Jamaica became one of the world’s leading sugar-exporting and slave-dependent nations. By 1800, the number of black slaves outnumbered the white Europeans 20 to 1. The slave trade (but not slavery itself) was abolished in 1807, and the British imported Indian and Chinese workers as indentured servants. Jamaica formally abolished slavery in 1834. In 1953, Jamaica was given independence to rule itself internally. Jamaica attained full independence from Great Britain in 1962, though it remains part of the British Commonwealth. Jamaica is known as a constitutional parliamentary democracy. This means that it is still a British colony that recognizes the Queen of England as the official head of state. But because Jamaica is also independent, it has a prime minister. In 2006, Jamaica elected its first woman prime minister. Following some very difficult economic times, Jamaican products became more competitive on the world market and to this day there has been steady growth in tourism and agriculture.